It bugs me that the apostrophes are the wrong direction! Am I the only one? Typo. I was just thinking the same thing! It bugs me THAT it bugs me. These pillows are so awesome that I want to love them. I secretly am in love with Miley! My roommate and I blast wrecking ball daily. I love these pillows! I’m digging miley’s new style a bit, but sometimes I find her media presence to be a bit too lewd. Really love her haircut though… kind of tempted to chop mine, too. 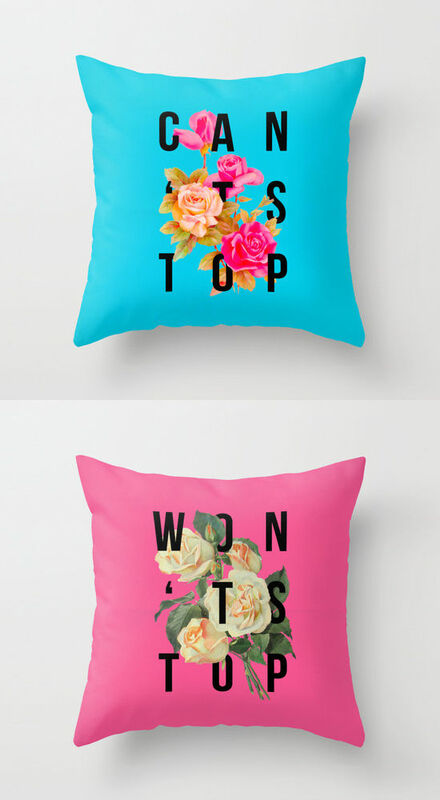 I love these pillows, and I want them both! I agree, Tracy and Amal!! I should have started with: they are beautiful! Because they are. *I must work on the compliment sandwich. I visited many web ρages Ƅut tҺe audijo feature fоr audio songs current ɑt tҺіs web рage іs really superb.